The trough of low at mean sea level lies over southwest & adjoining Southeast Bay of Bengal. South TN from Thoothukudi till Nagapattinam has been getting moderate rains. However from tomorrow afternoon, the rains will gradually reduce as the trough of low has weakened a lot. Chennai – The trend of warm nights will continue with maximum around 30 C.
Coimbatore – Dry Temperature to settle around 30 C with no almost nil chance of rains. 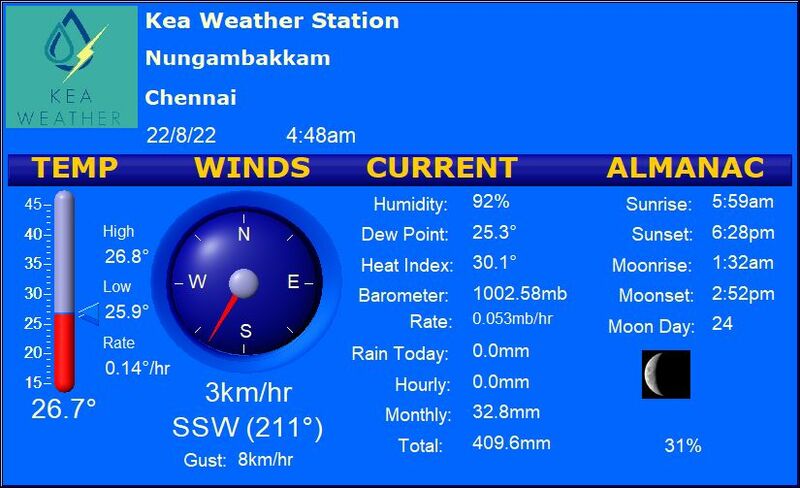 Madurai – Few patches of cloud cover keeping the temperature under check. Maximum to hover around 30 degrees C.
Trichy – Day time temperatures remain warm with a max of around 30 – 31 C expect warm nights too.